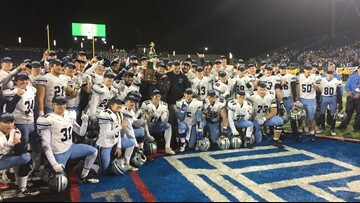 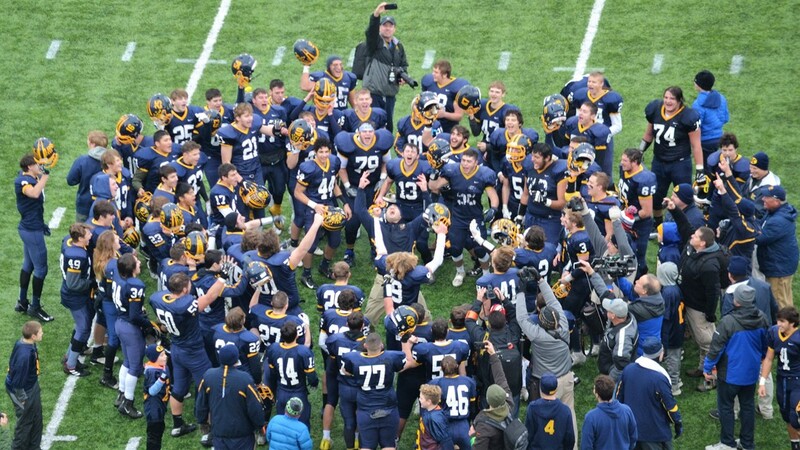 The Kirtland Hornets celebrate their 16-7 victory over the Maria Stein Marion Local Flyers in the Division VI State Championship Game at Tom Benson Hall of Fame Stadium in Canton, Ohio. 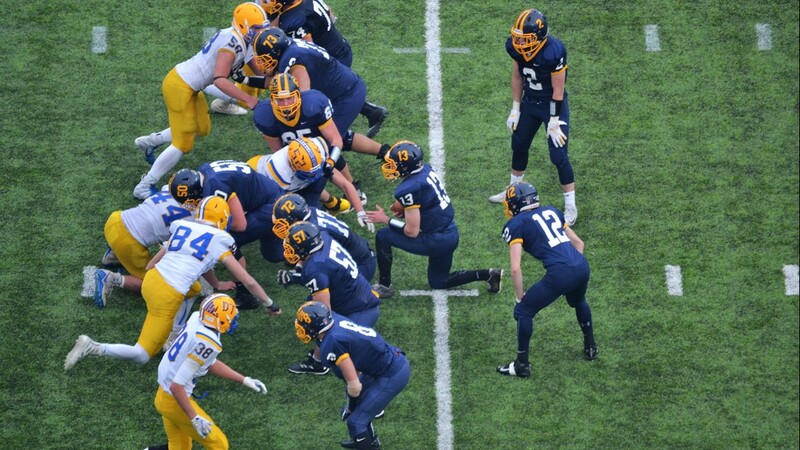 Kirtland quarterback Tommy Powers takes a knee to seal a 16-7 victory over the Maria Stein Marion Local Flyers in the Division VI State Championship Game at Tom Benson Hall of Fame Stadium in Canton, Ohio. 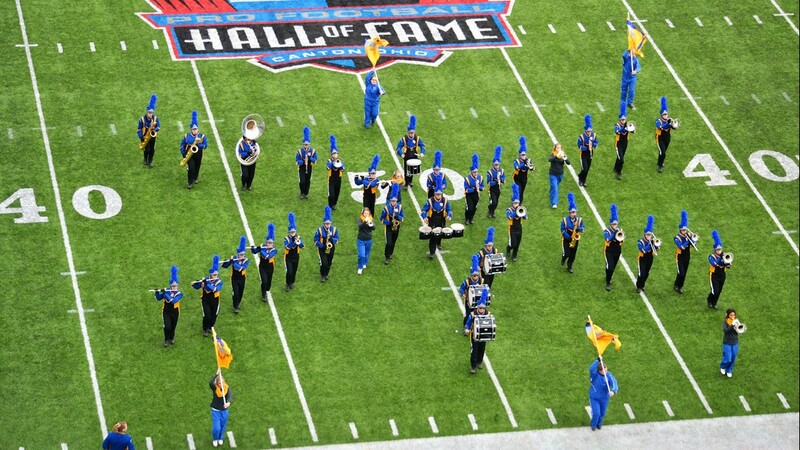 The Maria Stein Marion Local Marching Band performs during halftime of the Division VI State Championship Game at Tom Benson Hall of Fame Stadium in Canton, Ohio. 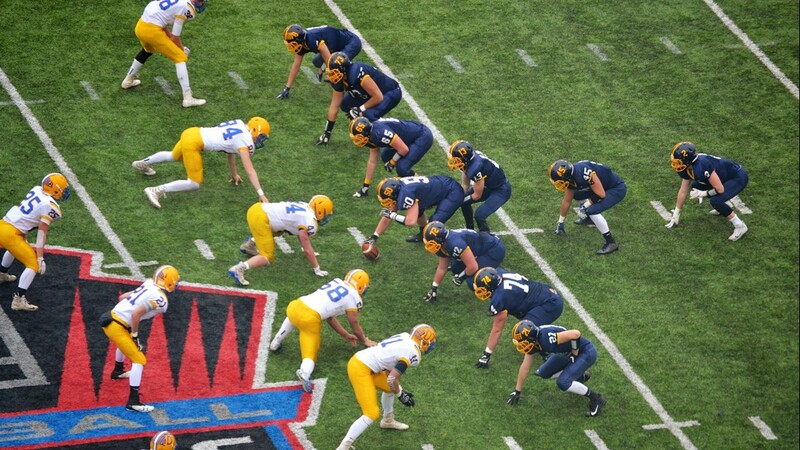 Kirtland quarterback Tommy Powers prepares to take a snap from center in a 16-7 victory over the Maria Stein Marion Local Flyers in the Division VI State Championship Game at Tom Benson Hall of Fame Stadium in Canton, Ohio. 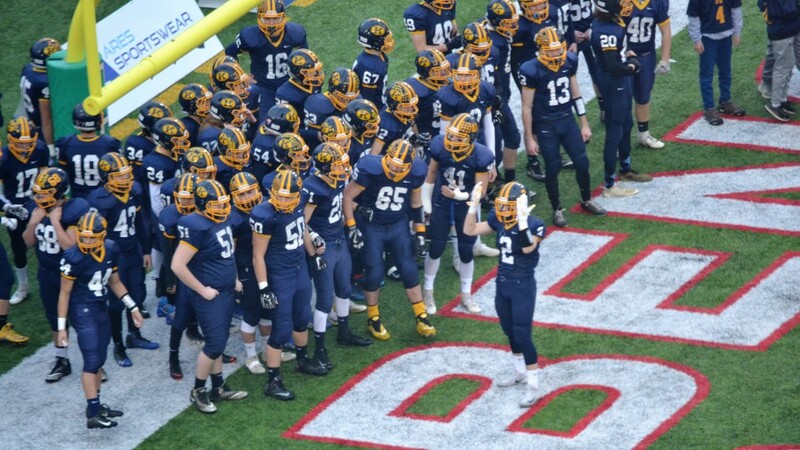 Kirtland running back Jake Neibecker (2) pumps up his teammates prior to their 16-7 victory over the Maria Stein Marion Local Flyers in the Division VI State Championship Game at Tom Benson Hall of Fame Stadium in Canton, Ohio. 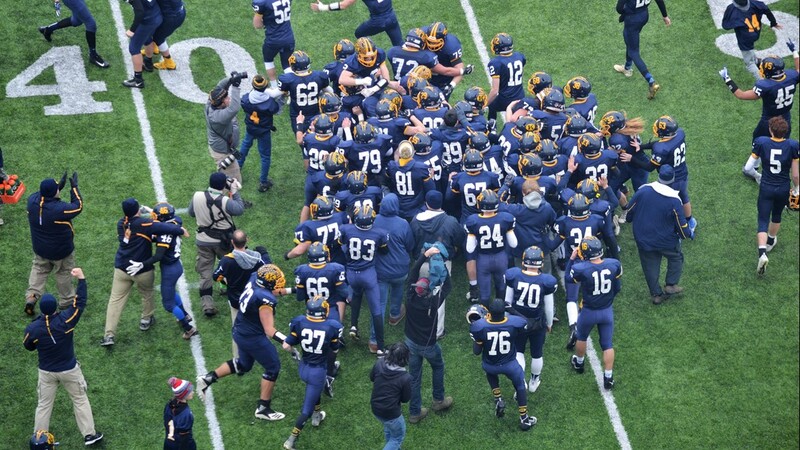 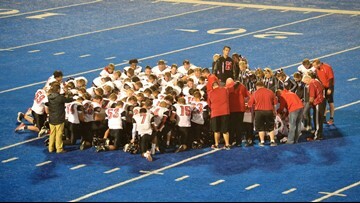 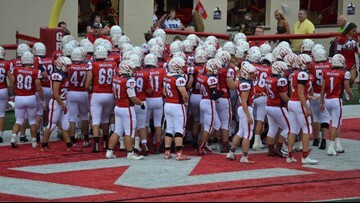 The Kirtland Hornets huddle up during the first half of their 16-7 victory over the Maria Stein Marion Local Flyers in the Division VI State Championship Game at Tom Benson Hall of Fame Stadium in Canton, Ohio. 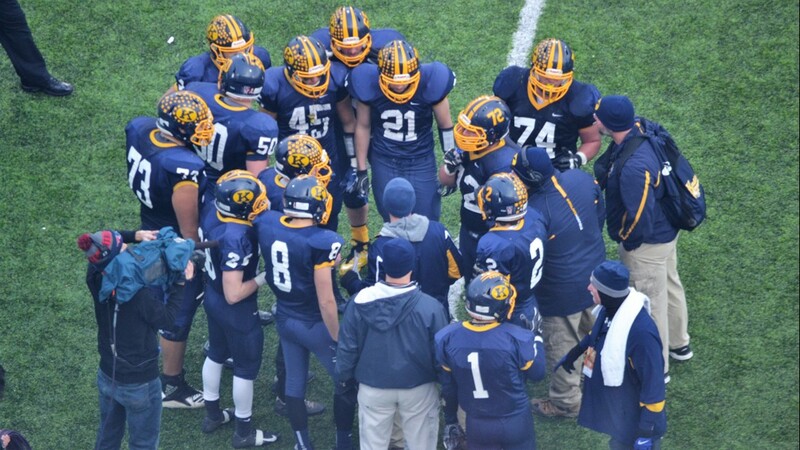 The Kirtland Hornets huddle up prior to their 16-7 victory over the Maria Stein Marion Local Flyers in the Division VI State Championship Game at Tom Benson Hall of Fame Stadium in Canton, Ohio. 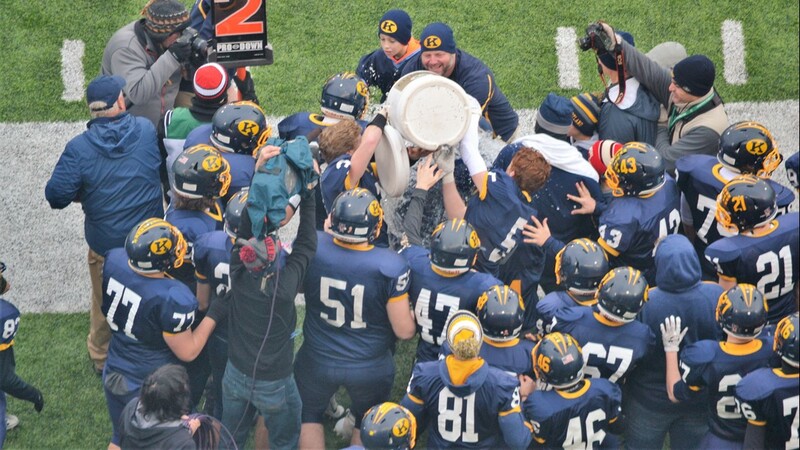 The Kirtland Hornets give Coach Tiger LaVerde a Gatorade bath during the final moments of their 16-7 victory over the Maria Stein Marion Local Flyers in the Division VI State Championship Game at Tom Benson Hall of Fame Stadium in Canton, Ohio. 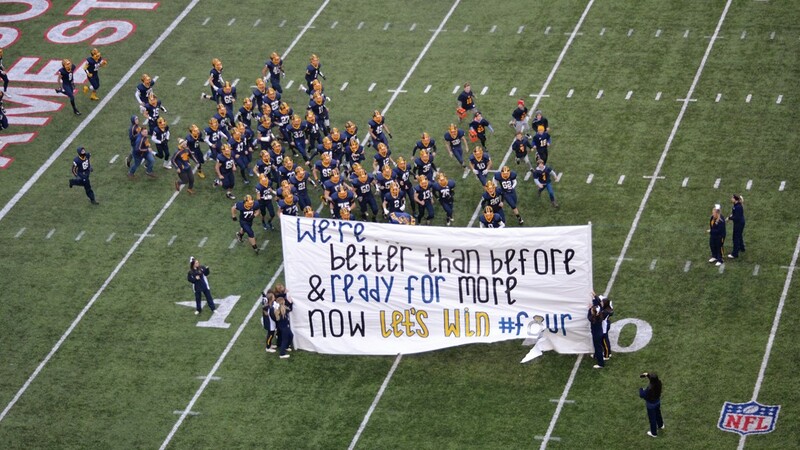 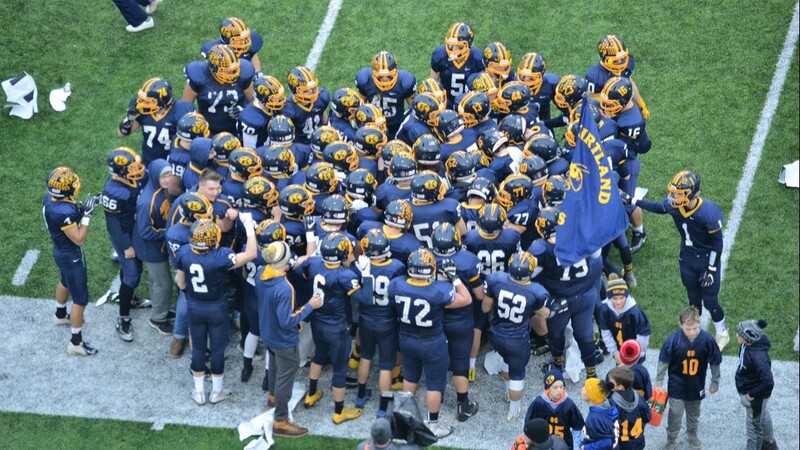 The Kirtland Hornets take the field prior to their 16-7 victory over the Maria Stein Marion Local Flyers in the Division VI State Championship Game at Tom Benson Hall of Fame Stadium in Canton, Ohio. 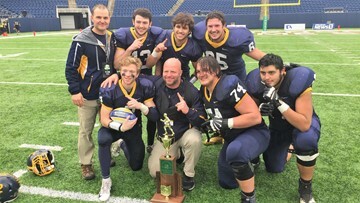 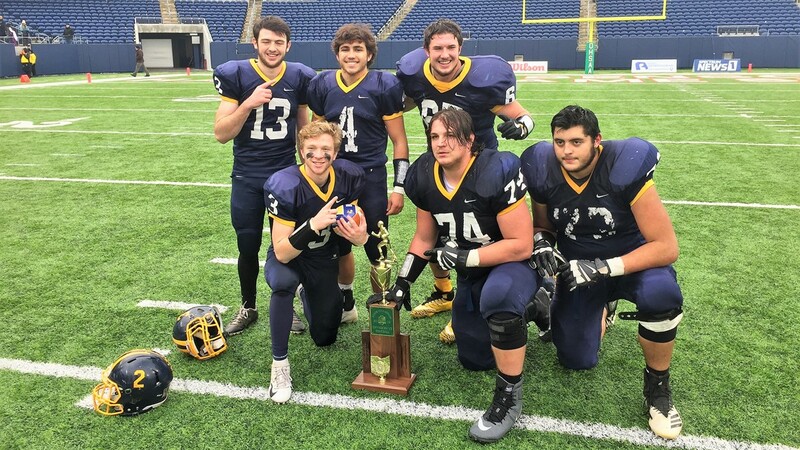 Members of the Kirtland Hornets celebrate their 16-7 victory over the Maria Stein Marion Local Flyers in the Division VI State Championship Game at Tom Benson Hall of Fame Stadium in Canton, Ohio. 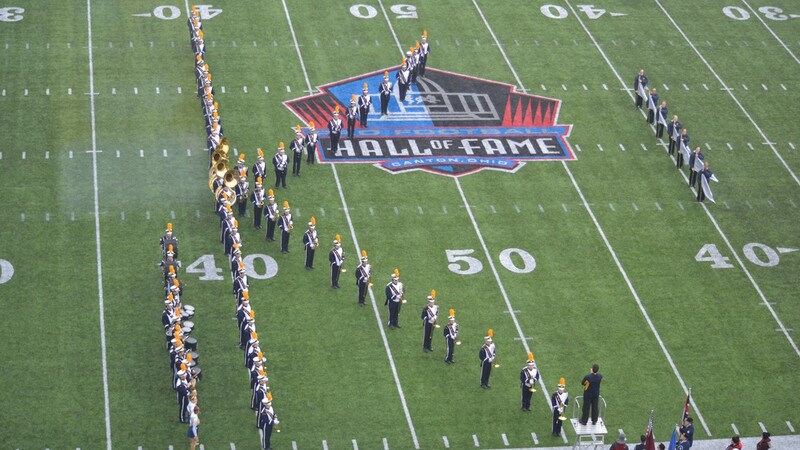 The Kirtland Marching Band performs prior to the Hornets' 16-7 victory over the Maria Stein Marion Local Flyers in the Division VI State Championship Game at Tom Benson Hall of Fame Stadium in Canton, Ohio. 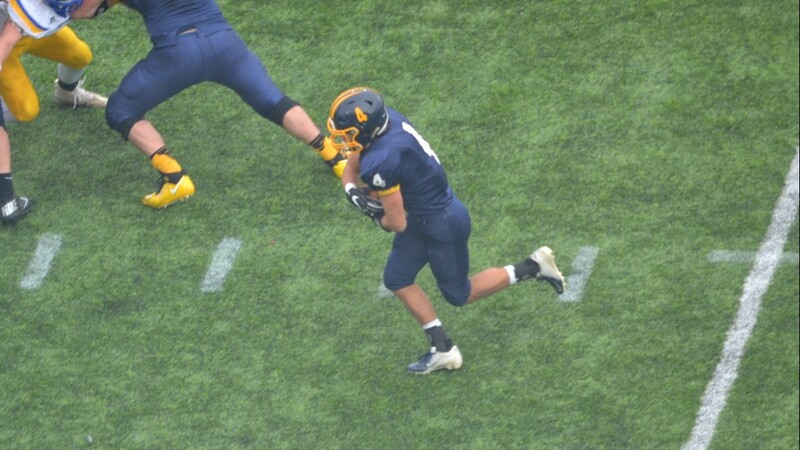 Kirtland Hornets running back Joey Torok rushes for a first down in the first half of a 16-7 victory over Maria Stein Marion Local in the Division VI State Championship Game at Tom Benson Hall of Fame Stadium in Canton, Ohio. 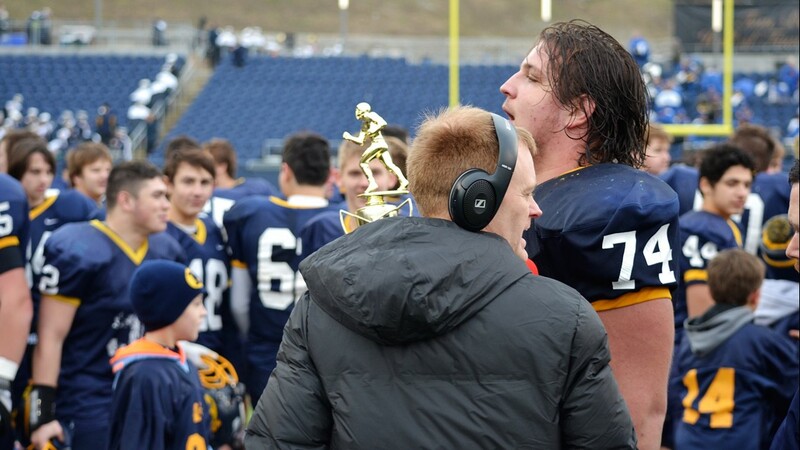 Kirtland senior offensive lineman Jack Bailey celebrates the Hornets' 16-7 win over the Maria Stein Marion Local Flyers in the Division VI State Championship Game at Tom Benson Hall of Fame Stadium in Canton, Ohio. 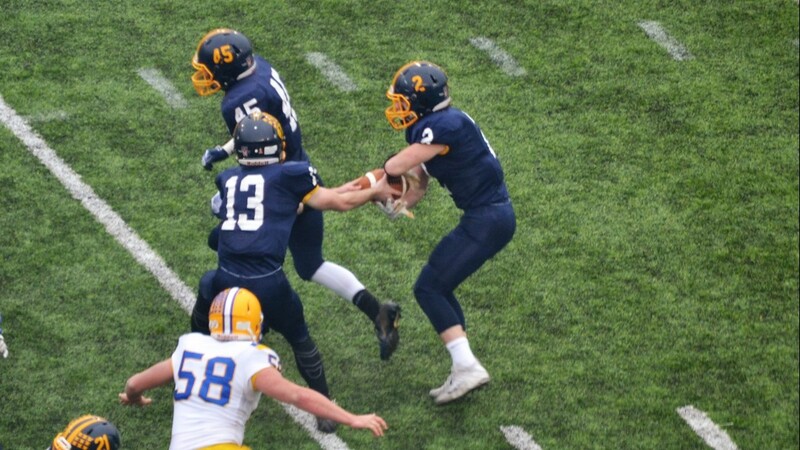 Kirtland rusher Jake Neibecker takes a handoff from quarterback Tommy Powers during the first half of their 16-7 victory over Maria Stein Marion Local in the Division VI State Championship Game at Tom Benson Hall of Fame Stadium in Canton, Ohio.